Seafood is in our name and that's our specialty. From fried oysters to shrimp and grits, we have something for everyone. Fresh vegetable of the day, tossed salad, coleslaw, daily rice, fresh hand cut fries, or potato of the day. Hand peeled large shrimp cooked to perfection. Served fried, grilled, or blackened. Hand breaded clam strips fried to a golden brown. 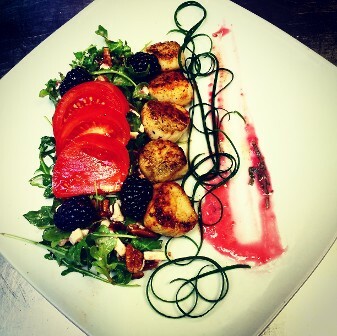 Fresh and tender sea scallops fried, grilled, or blackened. Served with your choice of two sides: starch of the day, vegetable of the day, or side salad. A pound of steaming crab legs served with drawn butter. Your choice of shrimp, flounder, or scallops (seasonal) blackened or grilled. Served with your choice of two sides: starch of the day, vegetable of the day, or side salad. Freshly shucked oysters lightly battered and fried. Served with hand cut fries and coleslaw. Large shrimp lightly fried. Served with hand cut fries and coleslaw. Hand breaded clam strips fried to a golden brown. Served with hand cut fries and coleslaw. Your choice of shrimp, oysters, flounder, clam strips, or scallops (seasonal). Served with hand cut fries and coleslaw. 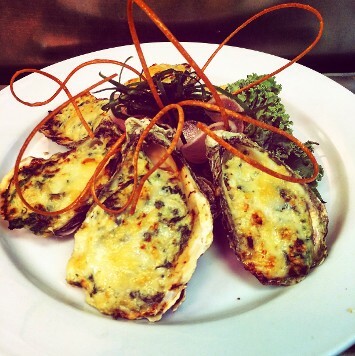 For the seafood connoisseur who wants indulge in all our local favorites. Flounder, shrimp, oysters, scallops, and clam strips. Served with hand cut fries and coleslaw. 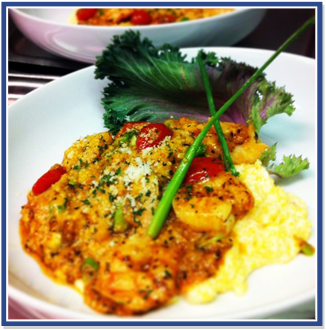 Creamy grits topped with sautéed shrimp, onions, tomatoes, and lobster cream sauce.